August 3, 2016 November 16, 2011 by Vinay Leo R.
The month of November sees the Poem-a-Day (PAD) challenge, hosted by Robert Lee Brewer at Poetic Asides. Day 15 theme is to write a love or anti-love poem. It’s in the Senryu form. Thanks Robert for the inspiration. Haiku Heights is my meme. 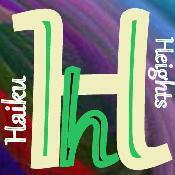 Each Saturday, I give a prompt there for a poem in the Haiku form of poetry. This week is the 94th prompt, which is Obsession. You lovely poem impresses, but so even your comment request. "The artist grows when you help him find the misplaced brush strokes." LOVE IT! very lovely and so romantic. This is absolutely Romantic Leee…. Very gently romantic indeed, Leo!! @AAKRITI,Thank you so very much 🙂 Glad you liked it and felt it to be beautiful. @MARIE ELENA,Thank you 🙂 glad you liked it. One can only grow when leaning toward light and guided right I think. @SUZY,Thank you very much :)@ROOPZ,Thank you very much :)@MEOW,Thanks di 🙂 Glad you liked. @NANKA,Thanks very much :)@SARAVANA,Nothing is the matter with me! :P@RUCHI,Thank you very much! :)@MMT,Sending my words of love in the wind IS my obsession 😉 Thanks MMT.